SCVHistory.com | Regional History | La Reina: Los Angeles in Three Centuries (1929). 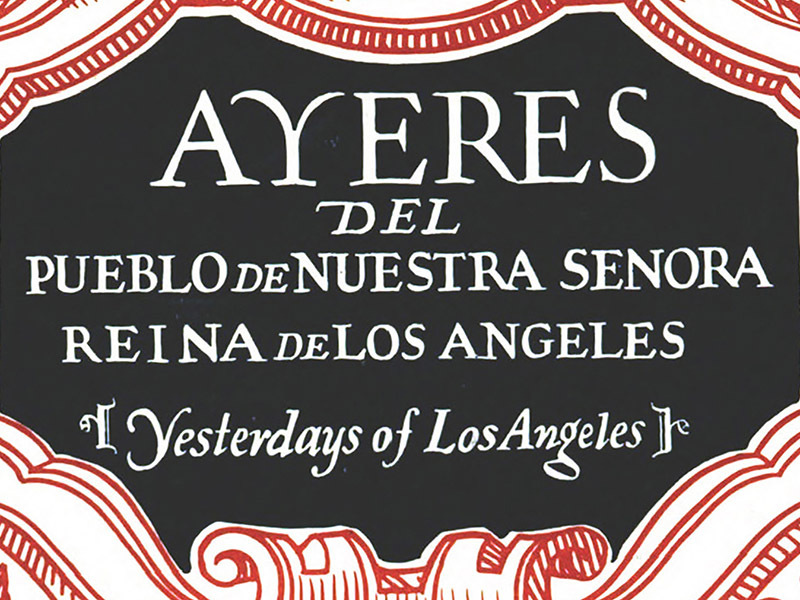 La Reina: Los Angeles in Three Centuries. Los Angeles: Security Trust & Savings Bank | First printing, February 11, 1929. History of (greater) Los Angeles from the time of European contact in 1769 to the present (1929). First of five editions published between 1929 and 1931 to commemorate the 40th anniversary of the founding (1889) of Security Trust and Savings Bank, aka Security Pacific Bank. A wide swath of Santa Clarita Valley history is included, from the 1842 Placerita gold discovery and Tiburcio Vasquez to the joining of the rails at Lang, the Del Valle family and Camulos, William S. Hart's retirement, the Los Angeles Aqueduct and more. The text is unaltered except for page 46 (pdf page 50) where the n-word was spelled out in three occurences (the old street name in downtown Los Angeles).